The National Library of Ireland (NLI) has said it is still achieving good results and bringing important collections to the public, despite continued hard times. The Library published its 2013 Annual Review today (03.09.14). The Minister for Arts, Heritage and the Gaeltacht, Heather Humphreys, TD, officiated at an event to mark its publication. 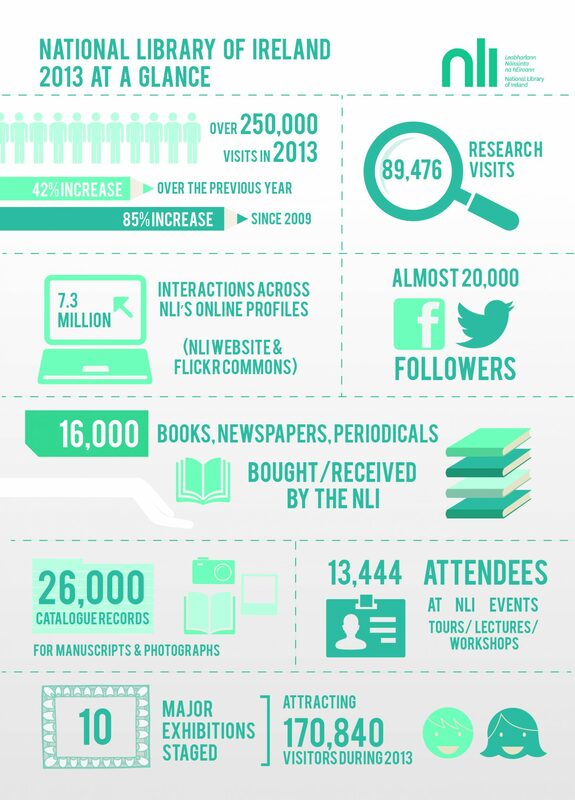 Over a quarter of a million visitors to the NLI in 2013. This represented a 42 per cent increase on the previous year, and an 85 per cent increase since 2009. Online visitors to www.nli.ie continued to grow in 2013, with 7.3 million interactions across NLI’s website and Flickr Commons profile, and 20,000 followers reached on Facebook and Twitter. A total of 16,000 books, newspapers and periodicals were bought or received under legal deposit, including rare items and newly published material. Sixty collections of manuscripts, prints and drawings, and photographs were purchased last year, and 281 collections were donated. Ten major exhibitions were staged during 2013, attracting 170,840 visitors. However, Ms Fahy, said that the Library was still facing significant challenges: “The NLI is facing huge challenges, and it is of considerable concern that since 2008, we have suffered from year-on-year funding cutbacks, and now receive 44 per cent less funding than we did five years ago. Coupled with decreasing numbers of staff and increasing demand for our services, this means we are being squeezed from all sides. “Diminishing resources put collections and services at risk. 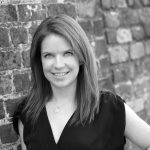 While we work tirelessly to maintain both, we are at a critical point,” added Ms Fahy. Also speaking at the launch of the NLI’s 2013 Annual Review today, Heather Humphreys TD, Minister for Arts, Heritage and the Gaeltacht, said, “I am hugely impressed by the high level of activity at the NLI over the last year. The number of people visiting the Library increased by a massive 42%, and I have no doubt that this success was down to the quality of exhibitions on display, such as the JFK Homecoming exhibition and the internationally acclaimed Yeats collection. Catherine Fahey, Acting Director, NLI is available for interview and comment. The mission of the National Library of Ireland is to collect, preserve, promote and make accessible the documentary and intellectual record of the life of Ireland and to contribute to the provision of access to the larger universe of recorded knowledge. It is open, free of charge, to all those who wish to consult the collections for material not otherwise available through the public library service or an academic library. The Office of the Chief Herald in Kildare Street, and the National Photographic Archive in Temple Bar are all part of the National Library.